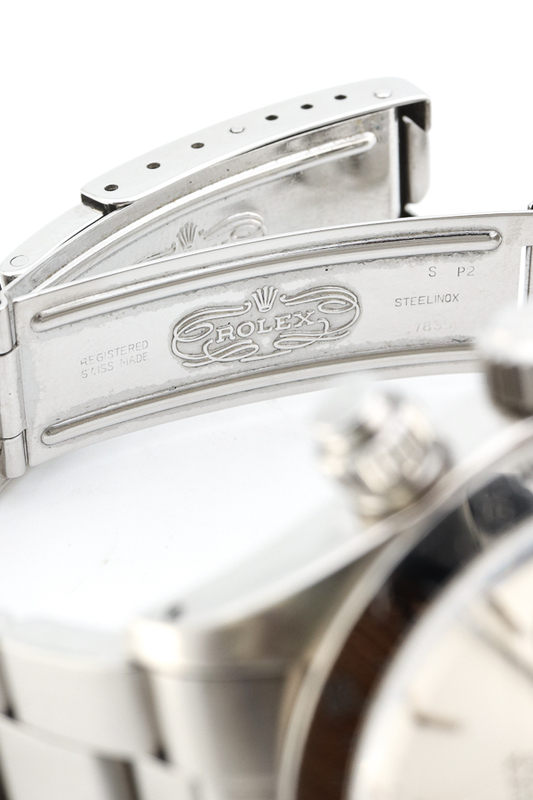 Since 1905 Rolex has been making quality tool-watches and Rolex has become the benchmark in many ways for other brands. 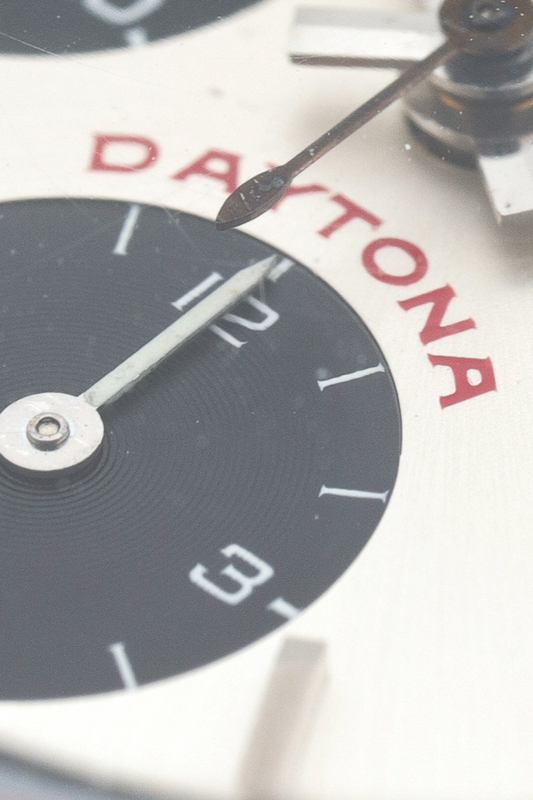 In 1959 the Daytona International Speedway was opened in the USA and this became the fastest racetrack in the world at the time. 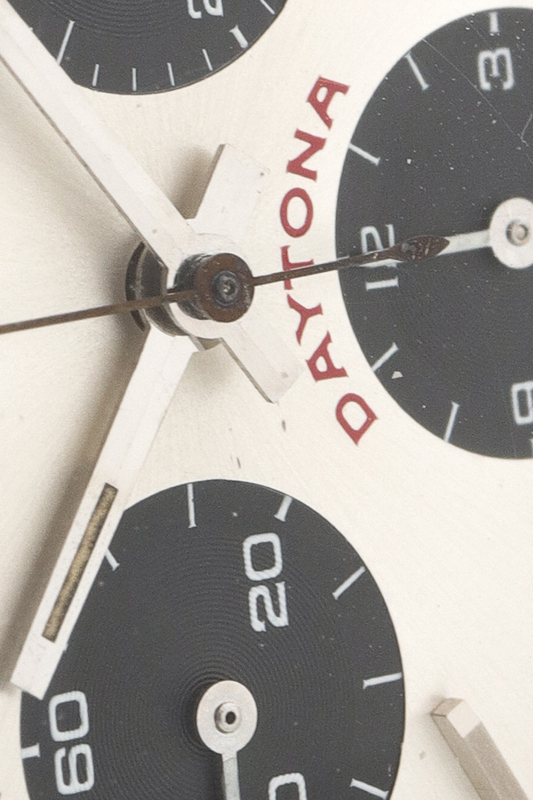 Keeping track of time with great precision was very important in this sport. 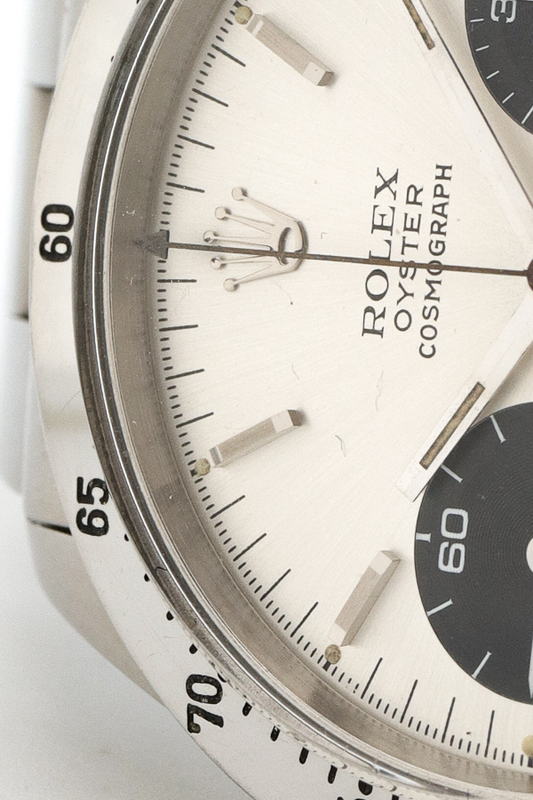 Rolex being picked for this job in 1962 meant the birth of an icon in watchmaking history. 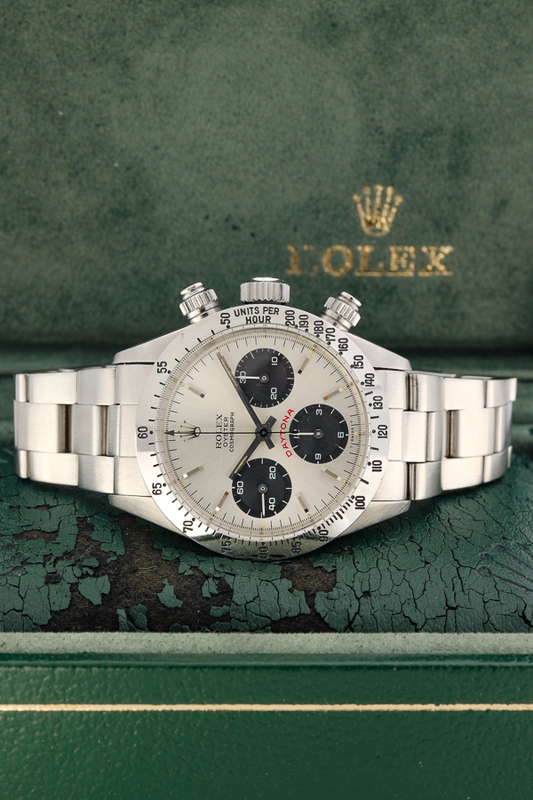 Although Rolex had already built early chronographs (pre-Daytona’s), the collaboration between Rolex and the famous NASCAR racetrack has made the Daytona more popular than anyone would ever expect. 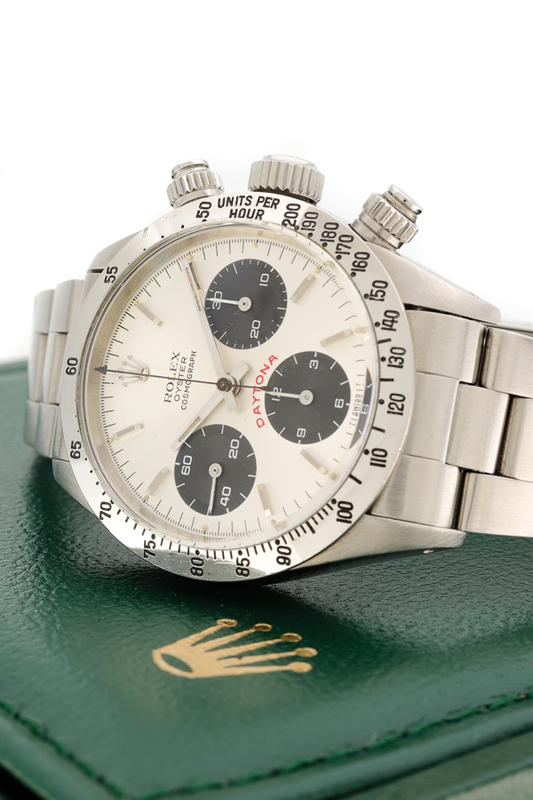 This Rolex Daytona, reference 6265, has a silver sunray dial. 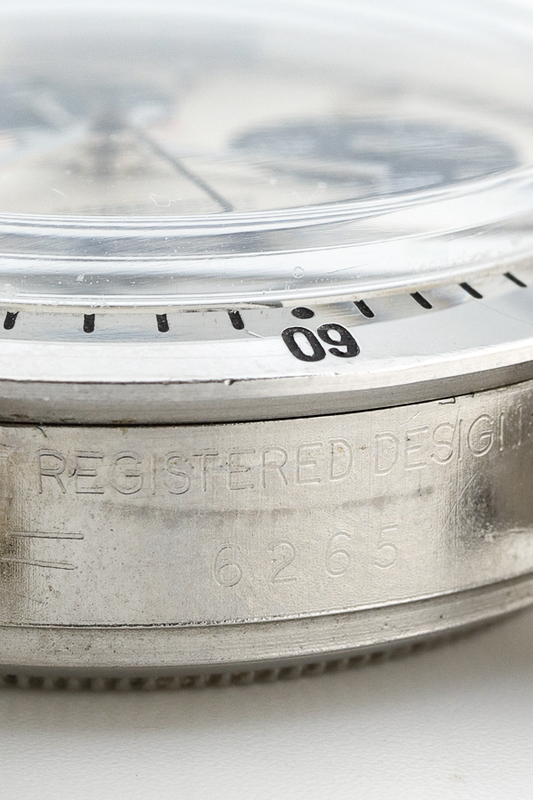 The matte silver dial with a glossy coating is very modest and clean with its tidy sorted subregisters. 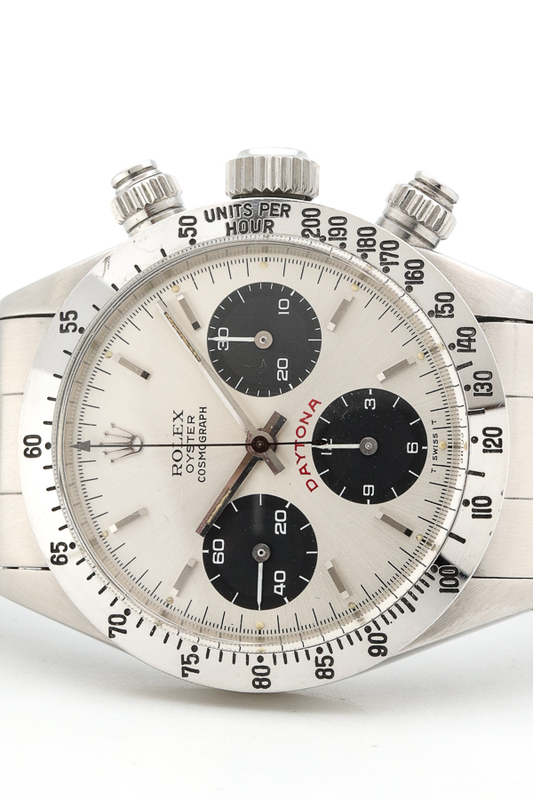 This panda-style chronograph dial is spotless and a lust to the eye. 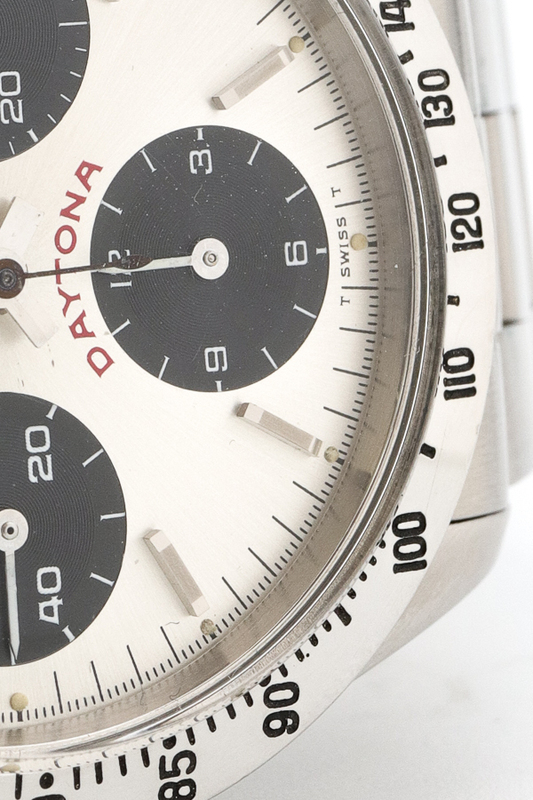 This generation Daytona got the nickname ‘Big Red’ because of its fat printed ‘Daytona’ lettering. 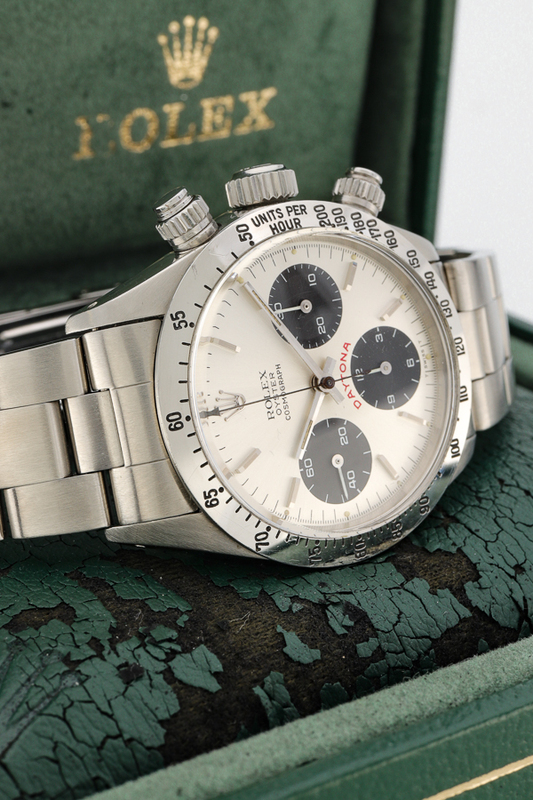 To many people this is the most beloved Daytona after the famous Paul Newman Daytona because of its pretty bright dial and stainless steel bezel. 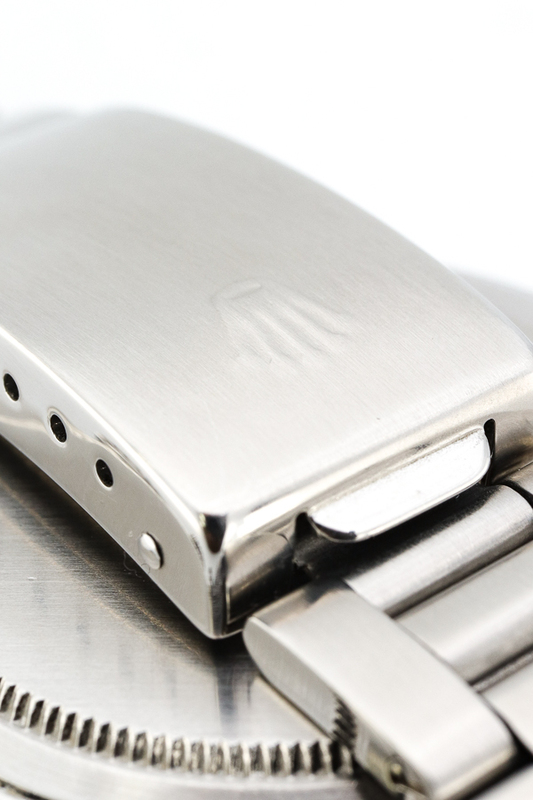 The 6265 did get a few notable differences though, the crown got bigger and the design returned to screw-down pushers to enhance waterproofness up to 100m. 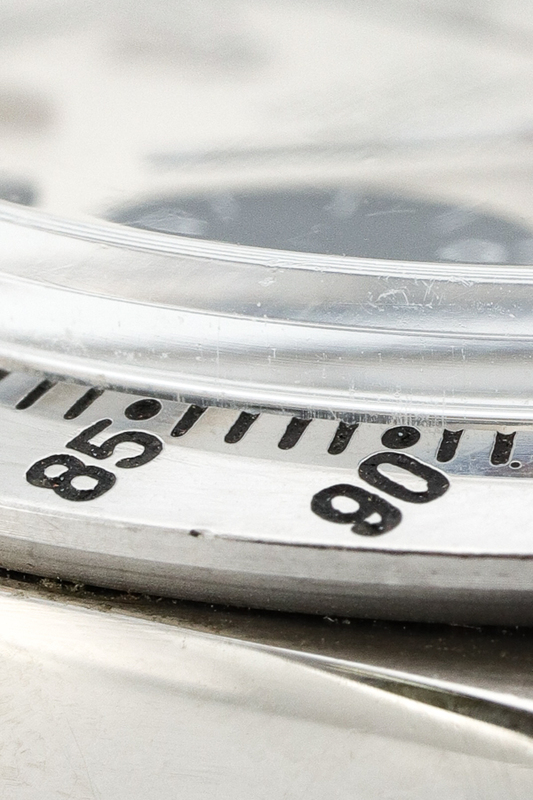 instead of the 50m. 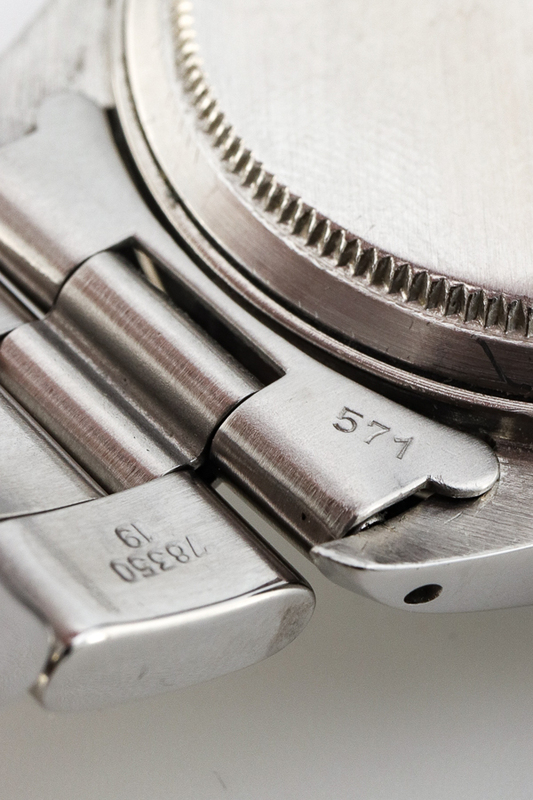 of its predecessor. 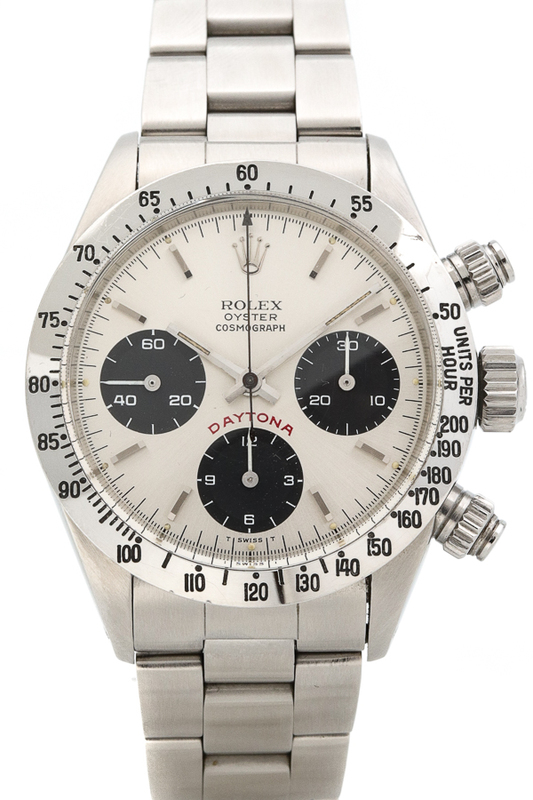 Even with the bigger crown and pushers, this Daytona is a stainless steel piece of art in harmony. 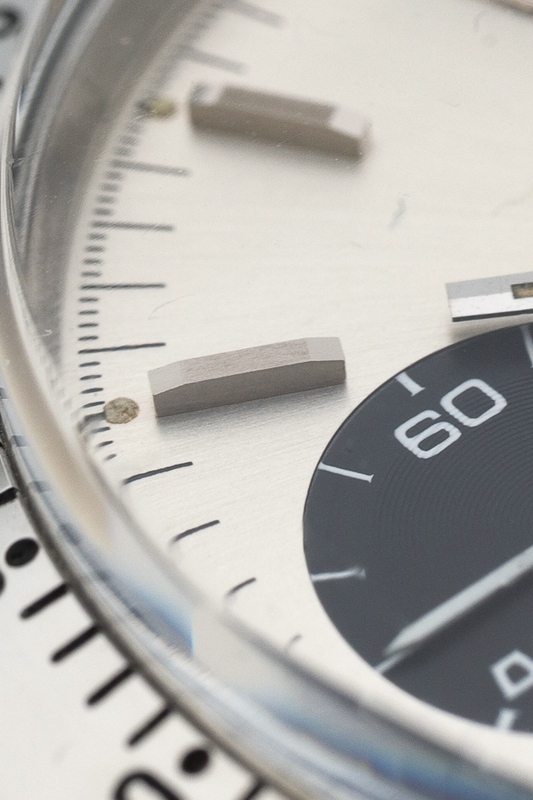 Measuring only 37mm, an average size for a chronograph, it’s quite a modest Rolex design. 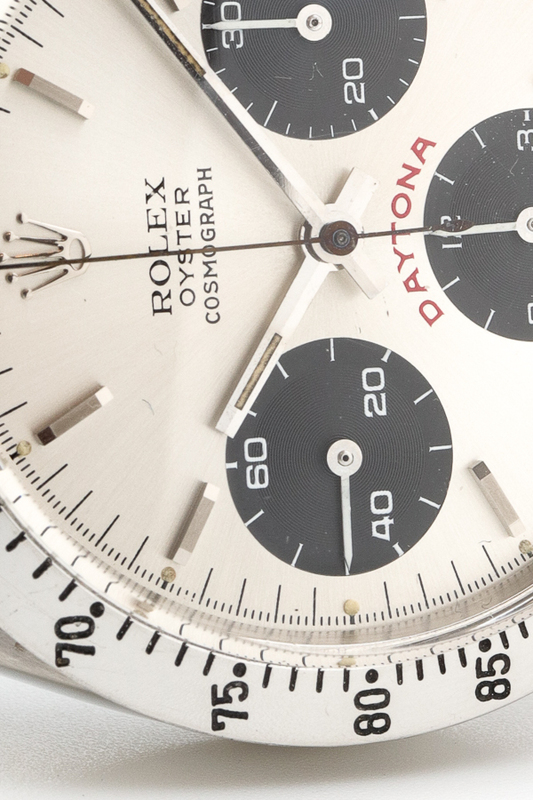 Calling a Daytona modest is something else since Paul Newman’s Daytona was sold for a whopping 17,75 million dollars… The collectability and overall vintage market have reached new heights over the past two years when it comes to Daytona’s. 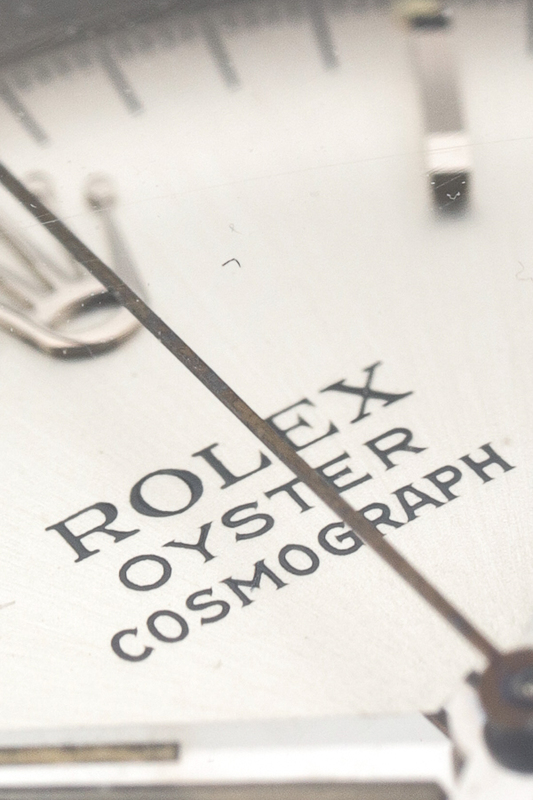 The originality is most important when seeking such a watch. 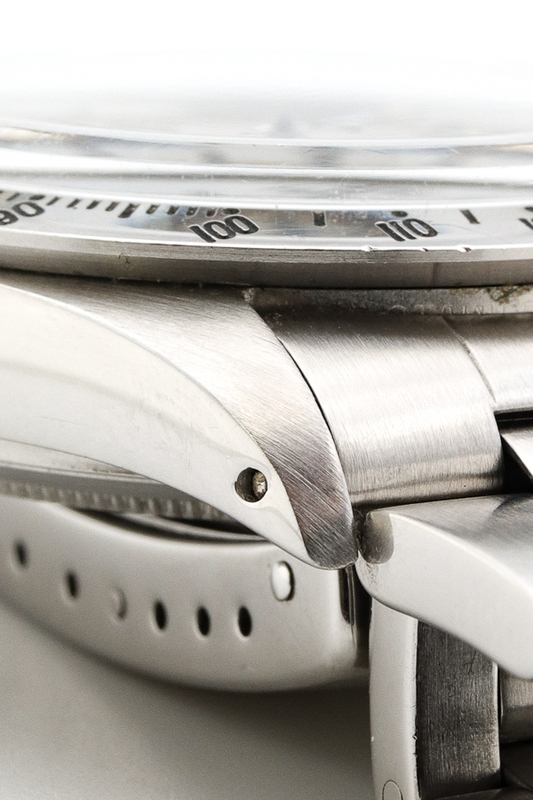 This 6265 is all original with its 200 UpH bezel, screw-down pushers and corresponding oyster bracelet. 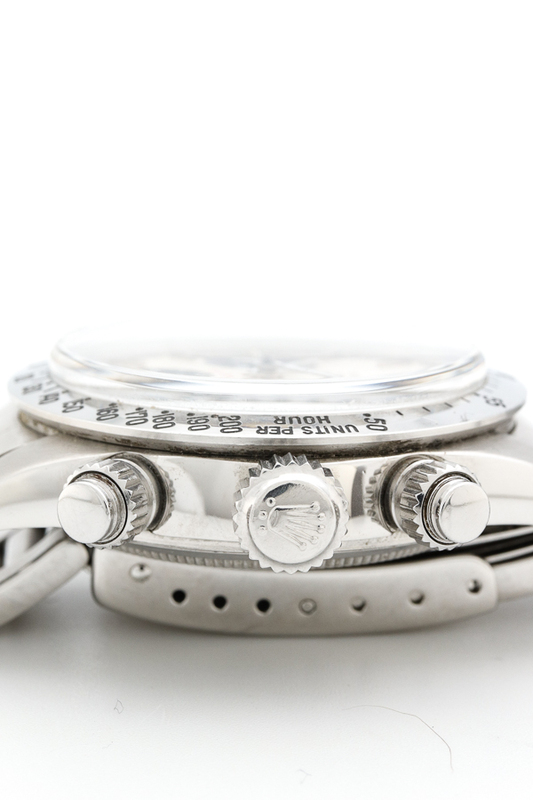 We are very pleased to offer you this piece in such great condition. 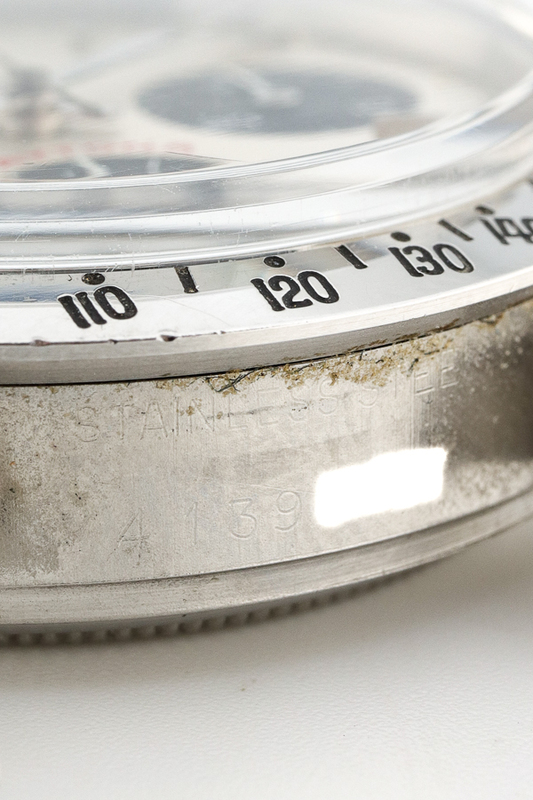 Visit our store and let us tell you more during a nice cup of coffee. We are located in the Reestraat, Amsterdam.